Try to get through this post without shuddering. 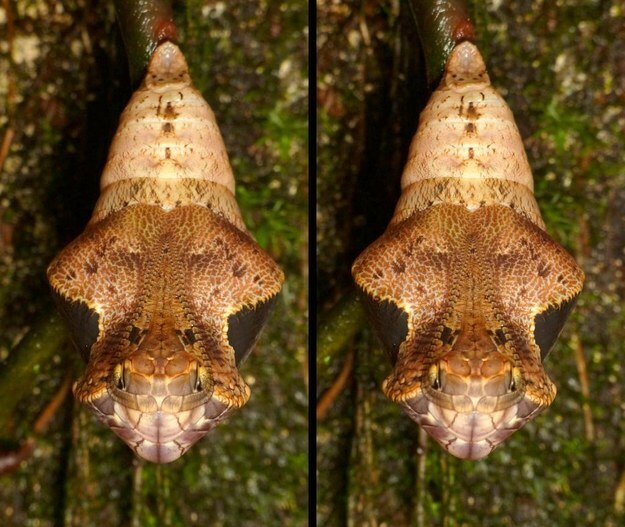 Behold one of the most clever disguises in nature: a caterpillar that disguises itself as a snake head. 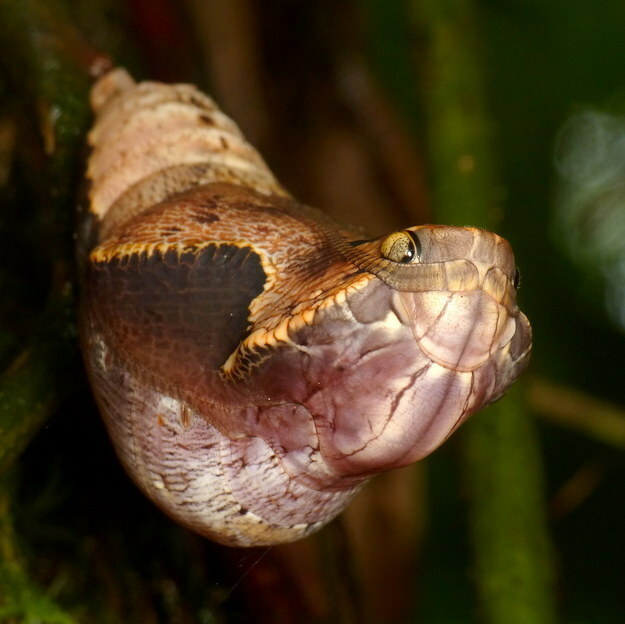 The caterpillar creates its chrysalis to protect itself when it’s forming into a butterfly. It’s exceptionally convincing mimicry, as Nerdist reports. 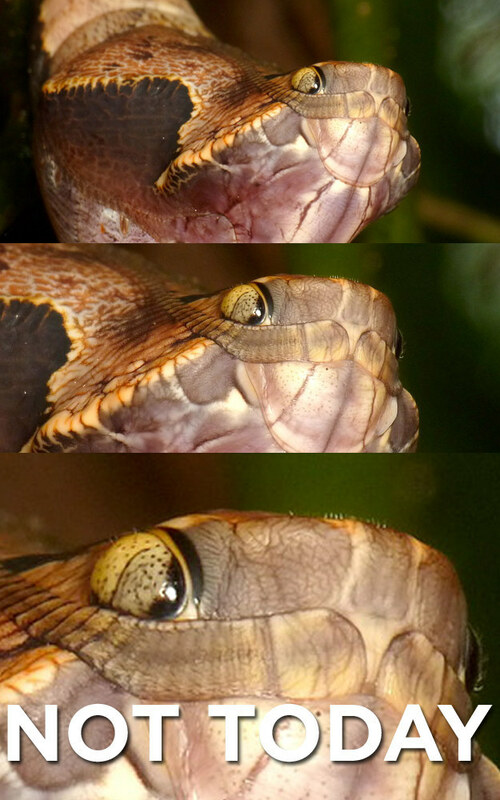 Found in Trinidad, this species looks a bit like a viper to ward off potential predators while it’s busy liquefying itself. 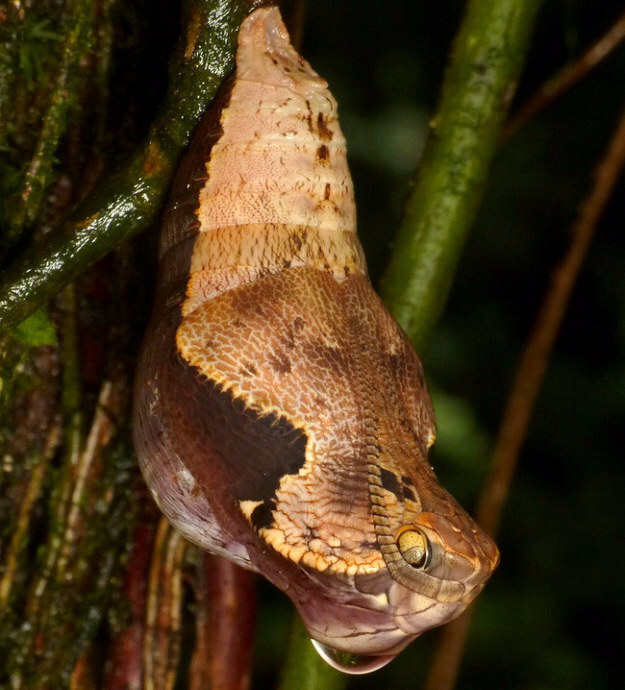 Here’s another view of the Dynastor darius darius chrysalis. The pupa isn’t completely helpless, though. It can sense external stimuli, so if it was interrupted during its 13-day transformation period, it could sway back and forth to make itself really resemble a snake, as Nerdist points out.